Happy Monday! Wow, we are already at the end of February! I can't believe how fast this month went! I made an announcement a few weeks back that I was working with a company called Apocalyptic Beauty. I just received my first package and wanted to share with you and do a review! "Beauty products inspired by pop culture, horror, the ironic and the absurd -- we proudly embrace the moniker 'Makeup of the Damned.'" 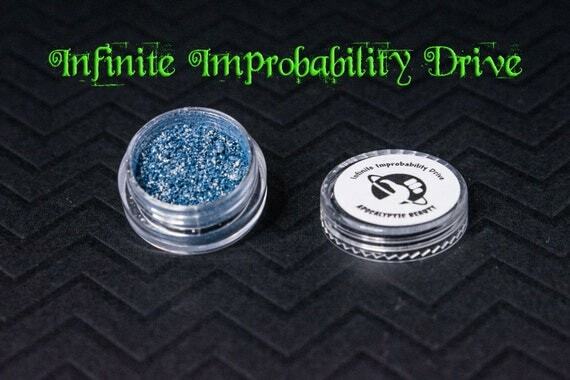 Apocalyptic Beauty is a newer company offering 100% Vegan and Cruelty-free cosmetics. 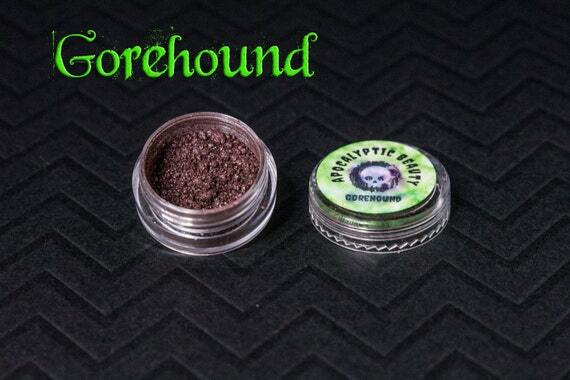 Eyeshadows come in a 5g jar, about 3/4 tsp, for $5. Made in Louisana and run by Alisha Adkins. Colors range from light and bright to dark and sultry. Everyone is sure to find something they love. First, I have to say that I love the cute little sticker art! These shadows can be used wet or dry. I swatched both and I have to say, I am impressed! 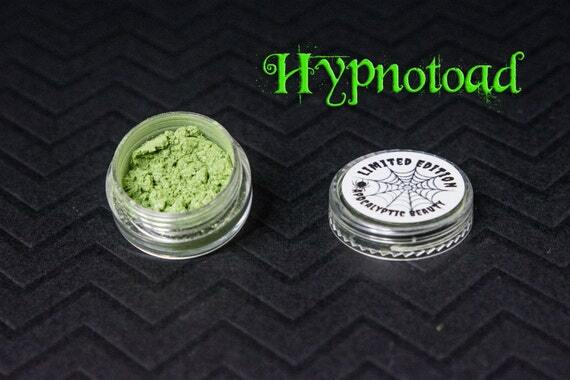 These shadows are buildable and blendable to create your desired look. If you follow me on Facebook or Instagram, you saw a sneak peek of some of these shadows, now let's do the full reveal! Ingredients: mica, titanium dioxide, iron oxide, synthetic fluorophylogopite, silica, tin oxide, calcium aluminum borosilicate, jojoba oil. Ingredients: mica, titanium dioxide, blue #1, yellow #5, ferric ferroccyanide, iron oxide, calcium sodium borosilicate, tin oxide, titanium dioxide, jojoba oil. black based shadow with a strong blue shift and aqua sparks. Lip safe. Ingredients: mica, titanium dioxide, iron oxide, calcium sodium borosilicate, tin oxide, boron nitride, calcium aluminum borocilicate, silica, magnesium stearate, jojoba oil. Icy steel blue with a (heart of) gold shift.NOT lip safe. Ingredients: mica, titanium dioxide, ferric ferroccyanide, iron oxide, tin oxide, magnesium stearate, jojoba oil. Violet purple with a subtle sickly green shift Lip safe. 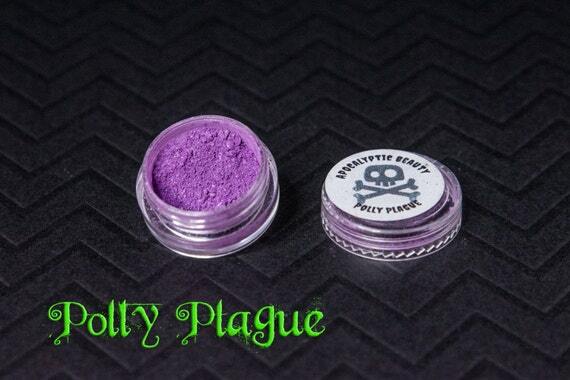 Ingredients: Manganese violet, mica, titanium dioxide, tin oxide, jojoba oil. 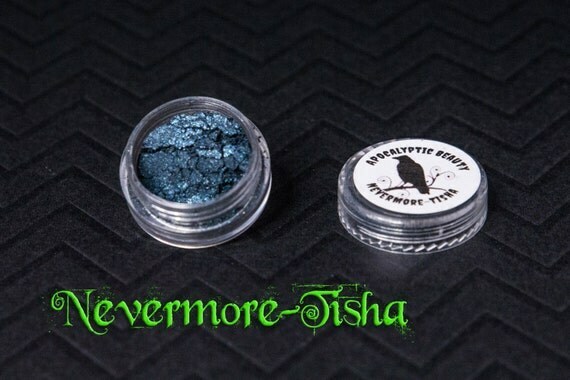 Iridescent, reflective blue-grey duochrome eyeshadow. Lip safe. 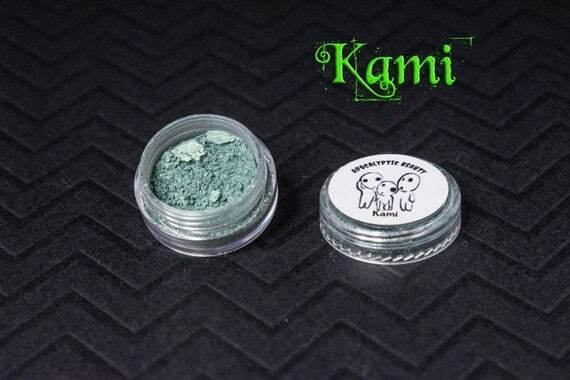 Ingredients: mica, titanium dioxide, iron oxide, tin oxide, magneseum stearate, jojoba oil, preservative. Ingredients: mica, titanium dioxide, iron oxide, synthetic fluorophyogopite, silica, tin oxide, chomium oxide, magnesium steearate, jojoba oil. Ingredients: mica, titanium dioxide, blue #1, yellow #5, ferric ferroccyanide, iron oxide, red #40, calcium sodium borosilicate, tin oxide, titanium dioxide, manesium myristate, magnesium stearate, jojoba oil. Light shimmery yellow-green with sparkle.NOT lip safe. 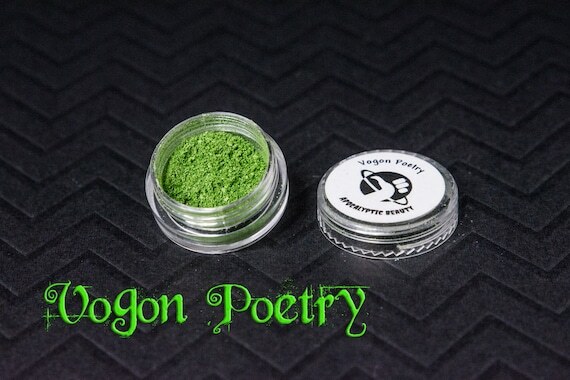 Ingredients: Mica, titanium dioxide, blue #1, yellow #5, ferric ferrocyanide, iron oxide, red #40, tin oxide, manesium myristate, magnesium stearate, jojoba oil. I am really looking forward to see what else Apocalyptic Beauty has in store! I am loving the shadows. 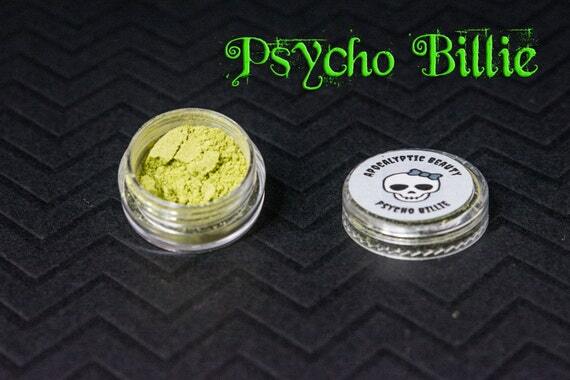 Keep in mind, they are pigments so you will experience some fall out. They are easy to use and look great! Super build-able, and easy to blend. The colors are vibrant and look great! The price of $5 is great for the quality and they even have sample packs available. 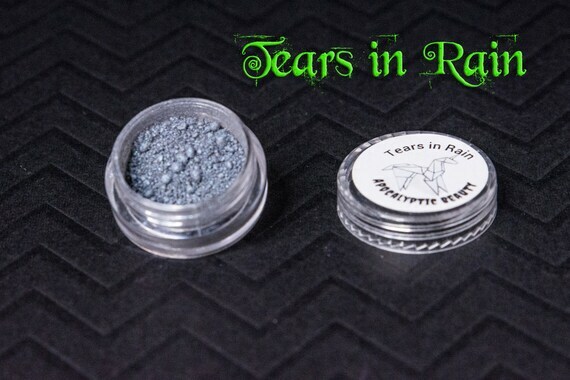 Visit Apocalyptic Beauty and use code NIGHTSHADE at checkout for 20% off your order of $10 or more!